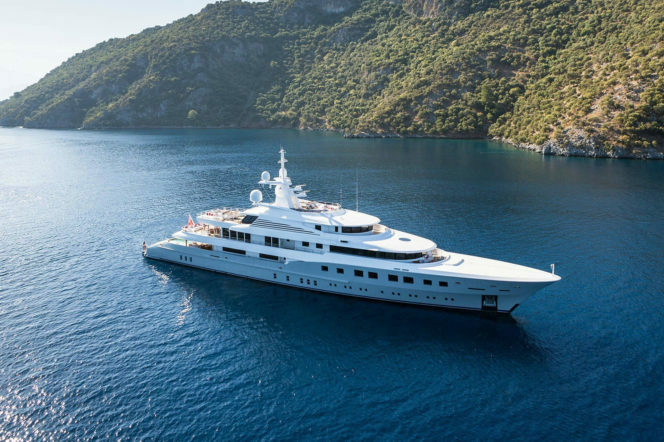 It’s the New Year, and high time you raised anchor on your own superyacht charter. But, with so many options bobbing about seas around the world, finding the vessel that’s right for you can be daunting. 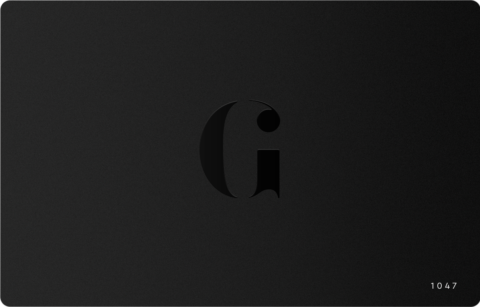 Enter a cabal of some of the finest superyacht dealers in the world, who have suggested the best in their fleets to Gentleman’s Journal to ensure that your 2018 is plain sailing. Launched to universal acclaim in 2011, Lady Britt has unquestionably become one of the finest and most sought after charter yachts on the market. 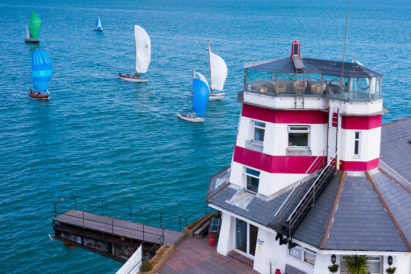 Her top features include a double aspect sun deck – divided by an air-conditioned gym, an authentic Finnish sauna, wellness spa with a qualified Elemis beautician, and both indoor and outdoor cinemas. But, while you eyes will drink in the beauty of Britt, your tastebuds will thank you for your choice even more. Winning the Monaco Rendezvous competition, the Michelin-starred chef (with his legendary 52-flavour ice-cream dream fridge) seems to have no end to his imagination – and this is indicative of the service from the captain and crew, who have jointly elevated proactivity to new heights. Think fun, games, and a simply amazing level of service and enjoyment on board. One of a kind is a term often used when talking about superyachts – but this offering from Camper & Nicholsons is truly is different. Legend cruises a new course in yacht charter offering pure unadulterated adventure, thrills and fun with all the luxuries you would come to expect of a superyacht from world-class cuisine to a dedicated spa centre. 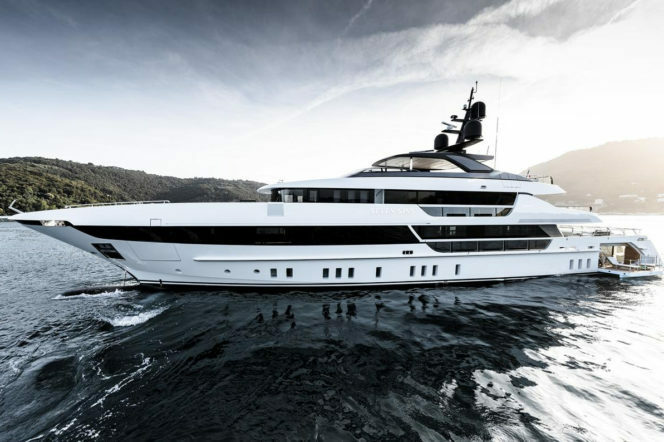 We can’t get enough of the design – Legend was built as a fully-classified Class 1 ice-breaking ship – and, despite the hard, strong shell, everything from the helicopter landing pad to the Balinese spa shrieks ‘luxury’. 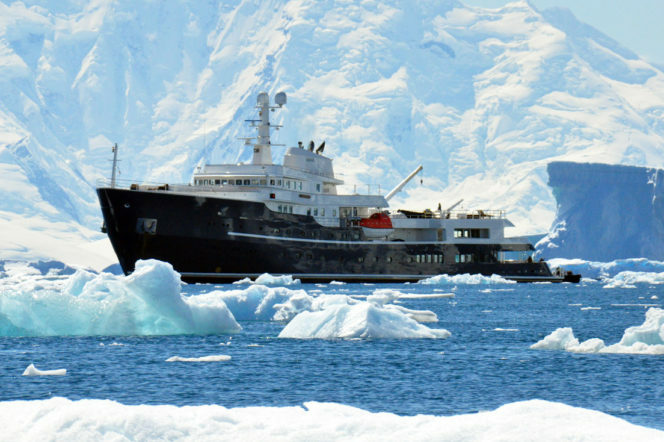 She comfortably sleeps up to 26 guests in 13 cabins, including a master suite, two VIP suites, four double staterooms and six twin staterooms, and is is available for charters in the more remote areas of the world, such as South America, Antarctica, Greenland, the Norwegian Fjords and the Arctic circle. Adventure awaits. One of the most talked-about launches of 2017, Seven Sins offers unparalleled ocean living, highlighted by a huge beach club set beneath a glass-bottom swimming pool. The beach club features a gym and sauna, with fold-down side balconies opening onto the water; this space can also be converted to a drive-in tender bay. Above the beach club, a large pool offers a counter-flow current mode, designer lighting and a Jacuzzi function. With accommodation for up to 10 guests in 5 suites,Seven Sins features innovative use of glass throughout, maximising natural light in the interior and offering fantastic views. 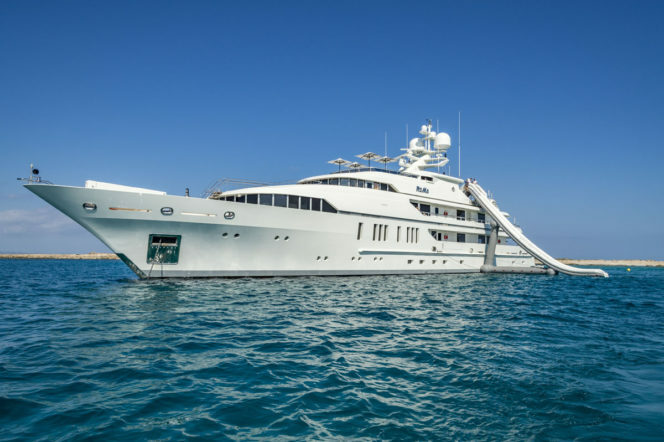 Sitting pretty in the Mediterranean, Edmiston are also offering the stunning motor yacht Malahne for charter this year. 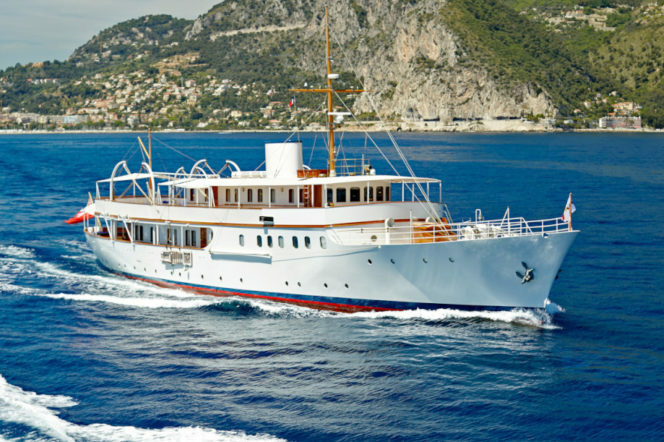 Meticulously restored by the UK’s Pendennis Shipyard, in a project led by Edmiston, this vessel offers you the chance to experience glorious and quite unique Art Deco style and elegance across her beautiful interior and decks. 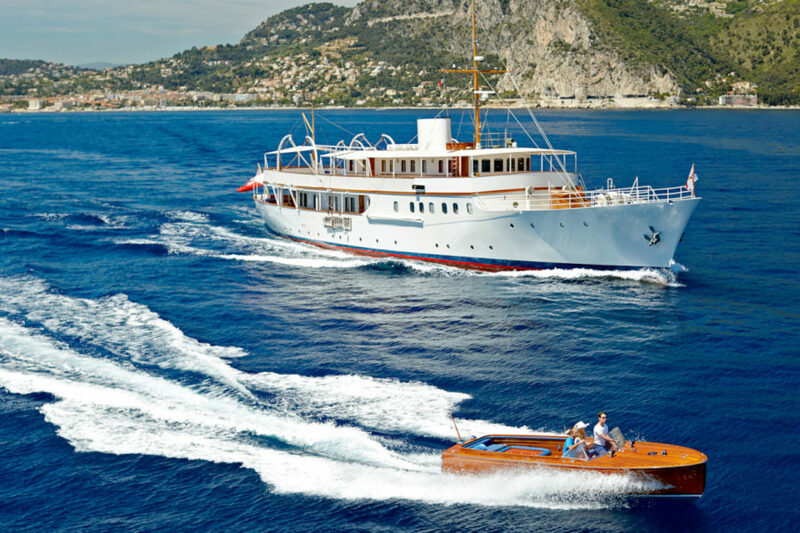 And, adding to her undoubted classic yacht charm, Malahne is thoroughly modern in all the right ways, updated with every luxury of modern life – from stabilisers to snorkelling equipment. If that isn’t enough, and you want some historical pedigree, Malahne also served as the production headquarters for the making of Lawrence of Arabia and hosted Hollywood stars such as Elizabeth Taylor, Grace Kelly, Frank Sinatra, Kirk Douglas and Jack Nicholson. 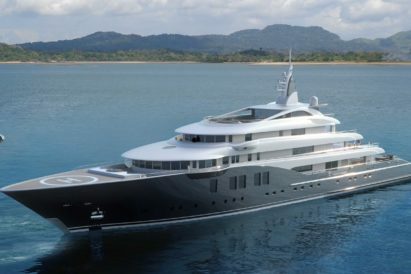 Designed by the renowned Norwegian architect Espen Oeino, RoMa was launched from the Viareggio shipyard in 2010. One of her most striking qualities comes in her colouring: Throughout her luxurious living spaces, a colour palette of crisp whites contrasted against warm splashes of deep reds, subtle golds and hints of green create a feeling of contemporary elegance. And, in terms of entertainment, RoMa is unsurpassed in luxury amenities and water-toys for an unforgettable charter experience. One of her most impressive features is an on-board cinema, the walls of which are adorned with fibre optic stars. Her fantastic outdoor spaces are equally impressive, featuring a private beach-club, swimming pool with current enabling jet, fully-equipped gymnasium and a host of toys as well as two Castoldi Jet tenders. Let the games begin. Axioma is one of the most popular charter yachts on the water. 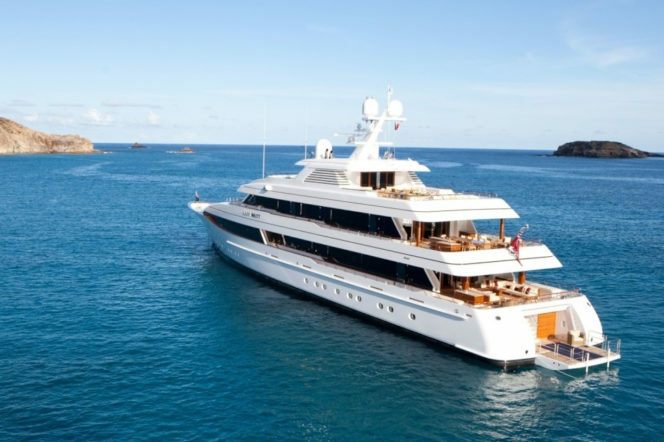 Her exterior is showcased by a huge glass-edge infinity pool on the aft deck, surrounded by space for sunbathing. 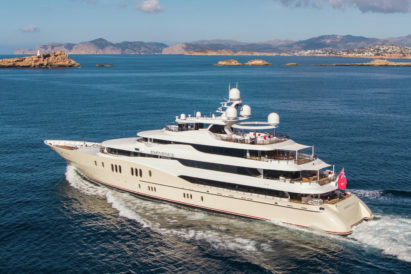 The yacht also features a large Jacuzzi with swim-up bar on the bridge deck, and a sundeck with BBQ, seating and sunbathing – not to mention the exclusive new partnership with The Organic Pharmacy. AXIOMA’s world-class yacht spa is now only using products manufactured by this premier beauty brand in all guest treatments. This is first yachting partnership ever launched by The Organic Pharmacy, offering the opportunity to enjoy a unique experience not available on any other superyacht. The highlight of Axioma’s stunning beach house style Alberto Pinto interior is an extraordinary double-height salon atrium with mezzanine gallery. Axioma accommodates 12 guests in 6 sumptuous suites, including a master-sized VIP suite and a dedicated Owner’s deck with media lounge. Guests can work out in the gym with adjoining massage room and steam room, or enjoy movie nights in the yacht’s 3D cinema.